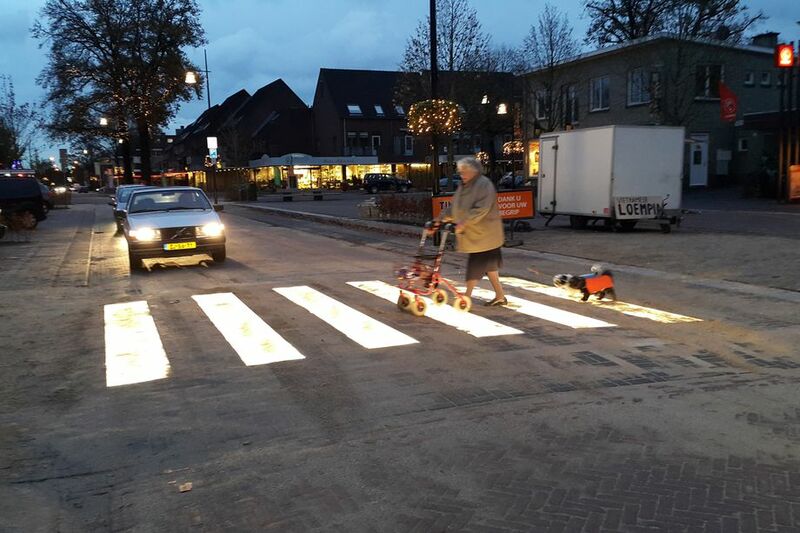 How to help an old person cross the road without taking any risk? The first solution is to suggest crossing over crosswalks. But these are sometimes poorly lit and this does not prevent sometimes that cars do not stop. 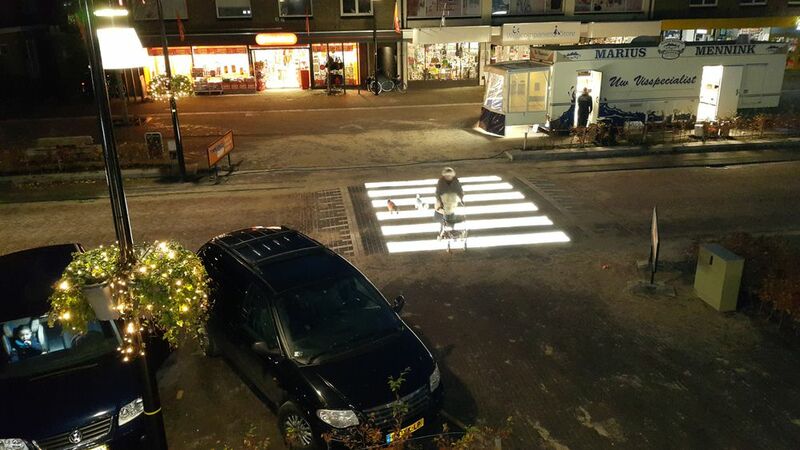 The solution found in the Netherlands is simple: just make the crosswalks bright! Two advantages: these crosswalks are visible to pedestrians, and motorists also see them.